WorkStrategy’s eTalent+ is an intuitive talent planning and management dashboard linking PeopleSoft’s core HR and talent management software functions and reporting capabilities. eTalent+ provides managers and HR/Organizational Development staff a platform for searching and assessing staff skills, identifying key position successors, and assessing readiness and developmental needs. 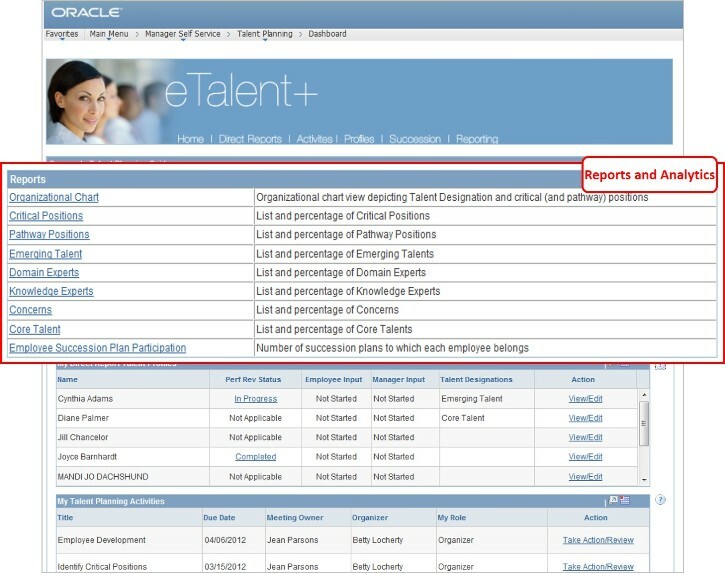 eTalent+ productivity enhancements include Talent Review Activity Planning, Direct Reports Talent Profiles, Talent Pool Management, Successor Readiness and Ranking, and Workforce Planning Analytics. 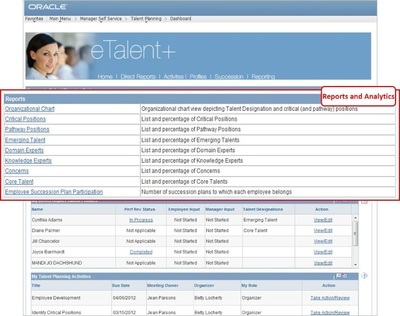 eTalent+ users benefit from easy access to employee competency and skill proficiencies, talent pool/succession plan members, organizational charts, and 9-box grids. 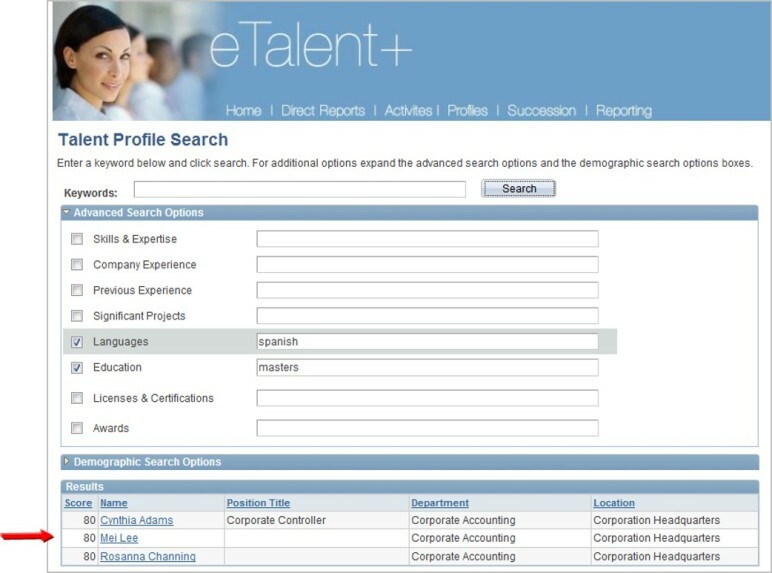 WorkStrategy's eTalent+ architecture is based upon PeopleTools, leveraging your investment in PeopleSoft technology. 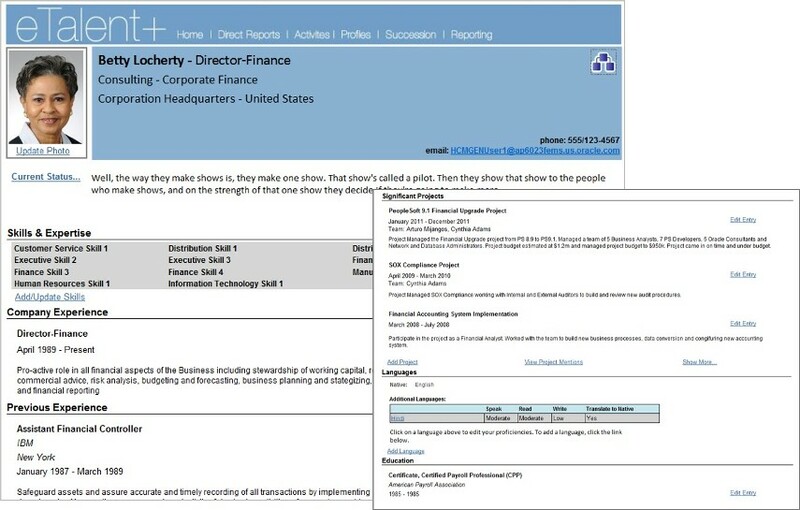 Our dashboard templates can be configured to meet internal "branding" and HR/OD user navigation objectives.